:54 – Flora Bowley introduces herself and her book. She sells original art, prints, licenses her images, and is one of the most in-demand art teachers in the world. 2:30 – how Flora ended up taking up teaching after she already had a full-time painting career. Many painters are very lonely after spending hours and hours alone in the studio. 4:40 – what Flora’s art business looked like before she started teaching. She was making a good living selling through galleries. Now her business is much larger. 13:00 – what artists do every day is really special to most people. Flora talks about how the practice of painting translates into everyday living. 17:35 – Flora talks about Papaya, the licensing company that she works with that sells most of her art licensing. Flora also works with a handful of other companies. 22:00 – having your own style is really important. Check out our interview with Lisa Call for more details on finding your style, and the blog post Working in a Series. 28:25 – Flora talks about how to use their creative process to engage with their audiences. 30:00 – Flora has a huge following on Facebook and Instagram. She talks about how she got there and how it has affected her business. Please note that there is some microphone noise because we were recording over the Internet. Frankly, I was in a hurry this morning and did NOT intend to listen to this entire podcast. But once I heard what Flora had to say, I couldn’t stop! I’m a versatile professional artist with a diverse history of art endeavors and income streams. I now need to focus my efforts in one direction, and I think Flora’s intuitive approach was very instructive! Thanks so much for this podcast – it was a real gift to me. Glad you enjoyed it Ann! Flora’s quite the force to be reckoned with. I would like to know what galleries exhibit Ms. Bowley’s work? I could only find online galleries that included her work. I notice that most artists featured on The Abundant Artist promote the idea of selling more than fine art. I understand multiple streams of income. I currently create portraits in glass paint on porcelain (I always think of Renoir when I work on porcelain. ), have done quick portraits at various venues, addressed thousands of wedding invitations using broad pen calligraphy, painted signs (also in calligraphy) and murals. I freelanced doing graphic work for printers, and executed floor plans and elevations for builders (back in the days of keyline and paste-up). I taught art in a wide variety of mediums in my studio, at workshops, at arts organizations, as a visiting artist at a university, and as a K-8 art teacher in a parochial school. I will begin teaching art via Skype in January. I have also earned income giving demonstrations of my painting techniques. What I would like to know is there any way to earn a living strictly creating fine art without selling prints or licensing the art for mass production? Teaching art, although it is something not everyone can do, is one “stream” that I will always promote as it gives me as much joy as creating my art. Therefore, I did not include it in my question. At any rate, please respond if you would. Hi D.Lee – Flora mentions in the interview that she was a financially viable artist before she started teaching. She shows in a number of galleries. I’ll ask her to stop by and respond if she has time. Going back through the other artists in the Creative Insurgents interviews, there are a number of artists who make a living from selling original paintings and not teaching. Gwenn Seemel, Lisa Call, Matt Leblanc, and Shannon Amidon are a few you can find at CreativeInsurgents.com. I will say that it is a real challenge to make a living without selling prints. The majority of artists making a living from their art sell prints to one extent or another, even if it’s in very limited runs. Thank you for the response. I have one more item I would like to discuss. Before my divorce many years ago, I did not have to worry if I wasn’t making a significant amount of income from my art. My then-husband, who was well-paid in his career, could take up the slack when I was in a famine period as opposed to a feast period. When he left, I had to scramble to support my child and myself. Fortunately, I was able to eke out a living as an artist. I know that there are men, as well as women, who have been able to work as artists due to the support of their spouses. Do you have any numbers on how many of the artists you have interviewed are married? All of the artists on our podcast make a full time living on their own terms, whether their spouses work or not. That’s one of the requirements for being on the podcast. Thank you so much for your replies. I really appreciate the time you donate to helping artists find their way. Again this podcast was very good. It is suprising that there was a lack of Skype art teachers mentioned too. I am expanding my teaching of workshops and I actually like the idea of not having to rely on selling my art, that is more of a bonus. I like the idea of ‘pushing the limits of my creative experience’ then running workshops. My workshops are about mixing traditional work with digital ie 3d graphics that is what I do with my artwork. I have started to do workshops for free as a way to promote my online tuition and also my kindle books (releasing one based on my workshops in January). I tried to charge but there was less interest. I hope to get to a point where I can charge a bit for my workshops or even do a ‘pay what you want perhaps’. Thanks a lot James. I’d love it if you left us a 5 star review on iTunes! Hmm, I’m pretty sure I left a review there. I will check! 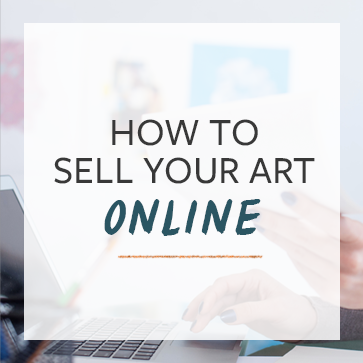 TAA, I would like to learn how to sell my art online and instagram. Thank you so much for sharing. I’m going the other way; I’m an art teacher moving towards full-time artist. This podcast has been very informative and confirms a lot of my thoughts about balancing income streams with the muse that drives me to create. This has really inspired me. Thanks again. I’ve been following you ever since my sister took your art course last year. She enjoyed it and I’ve been hoping I can take it sometime soon too. It is great to hear you speak. Now I have a voice to go with your paintings. I really enjoyed this interview. Thank you, Flora and Cory. Where are your studios located? Do you have any place close to College Station Texas where we can go and take lessons with you?